As I mentioned yesterday, today I officially began working as the Associate Pastor for Youth and Children’s Ministries at Saugatuck Congregational Church in Westport, Connecticut! Before I could get to work, though, I had to go pick up my car from the dealership. 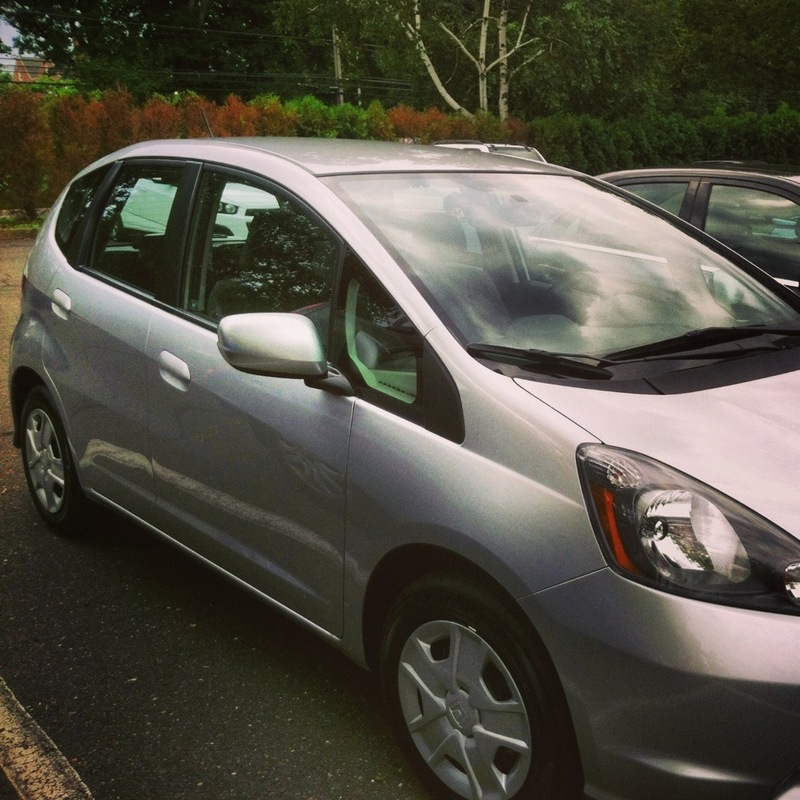 I have relied on my own two feet and the Northeast’s wonderful system of mass transit for almost all my traveling needs the last three years, but with a daily commute of over 30+ miles now part of my reality, it was time to have my own set of wheels: a Silver Honda Fit! After I finished the paperwork and got the car, I started settling into my office and had a meeting with two parishioners who have played a major role in the youth and christian ed programs here at Saugatuck. They have been wonderfully helpful in the whole search-call-transition process and are now helping me get settled and get a sense for what my priorities over the next few weeks need to be as we gear-up for the start of the Church School, Youth Group, and Confirmation programs this fall. As some of you may know, Saugatuck suffered a fire two years ago. Though the fire left most of the exterior of the historic building intact, much of the interior was seriously damaged. So my office is not actually in the church building itself, we are currently working out of what has been dubbed the “Ministry Center” in a local office park. The exciting news for the Saugatuck community, though, is that we are preparing to start rebuilding work! The ground-breaking has just been scheduled for September 8 at 1pm. If you are in the Westport area, whether you are a member at Saugatuck or not, we would love to see you on the Great Lawn in front of the church (245 Post Road E)! And if you are interested in donating to the cause of rebuilding and renovating the building so we can move back in next fall, you can read more about our capital campaign here! I am looking forward to my time serving this wonderfully active church community. ← Sunday Reflection: Last Sunday Before I Officially Begin Work!